Signority makes it easy to sign documents online as a recipient, simplifying the signing process to be as seamless and easy as possible! 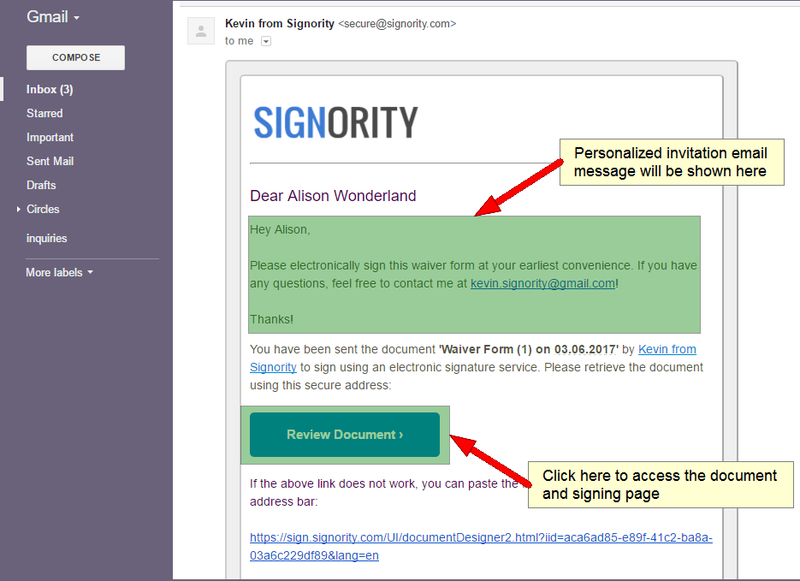 With all our workflows, whenever a Signority user sends someone a document to sign electronically, they will receive an invitation email. When you get the email, just click on the Review Document button to be re-directed to the signing page. Accept the Terms of Service so you can access the document. Once you’re on the document signing page, use the button to navigate through the document. Enter your information in the tags you see. Any tags with a red start indicate that they’re mandatory and must be filled. You will not be able to complete and submit the document without filling in ALL mandatory tags! Once you’re finished filling in all of the information, review the information and “Submit” the document. And just like that, you can sign documents online with minimum effort and requires no scanning or emailing! Once the document is finalized by all of the signers, you will be notified via email with an attached copy of the finalized document for safe keeping. Want to learn how to create electronic signature documents for others? Start collecting your own electronic signatures today!